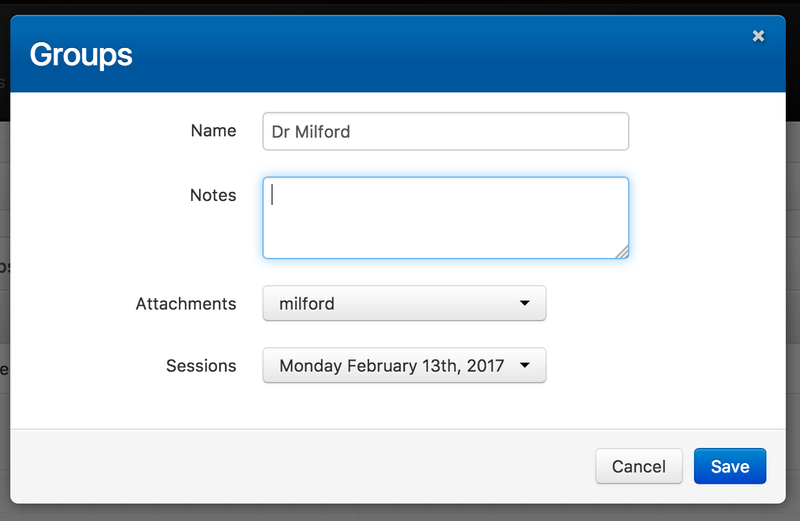 Send different groups of attachments and session details to your recipients. Groups are an easy way to separate the different attachments and sessions that each of your recipients will see when they receive your casting call. These help separate the casting call into different roles for different people, so recipients only see the information for the role they are casting for. Click on the Groups tab, and click the blue Add Group button at the bottom right of the screen. 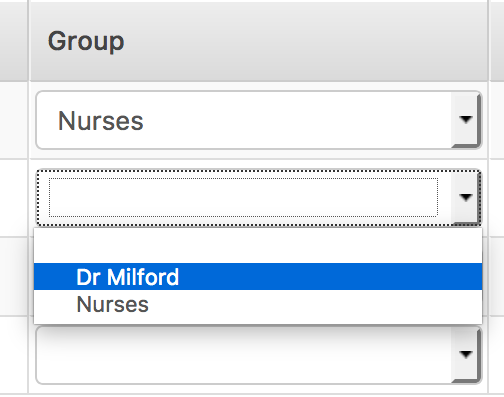 When the Groups window appears, enter a name for the group, as well as any specific notes you would like recipients to see displayed with the main email message. Select the attachment(s) and session(s) that should be sent to recipients in this group. If you don't select any attachments or sessions, all available attachments and sessions will be sent to the group. 4. Click Save and the group will be added to the list of groups.